See guest artist Darin Denison during a live, narrated demonstration in the Amphitheater Hot Shop on August 30 from 6 to 8 pm. Originally from New York, Darin Denison has called Seattle home for 22 years. 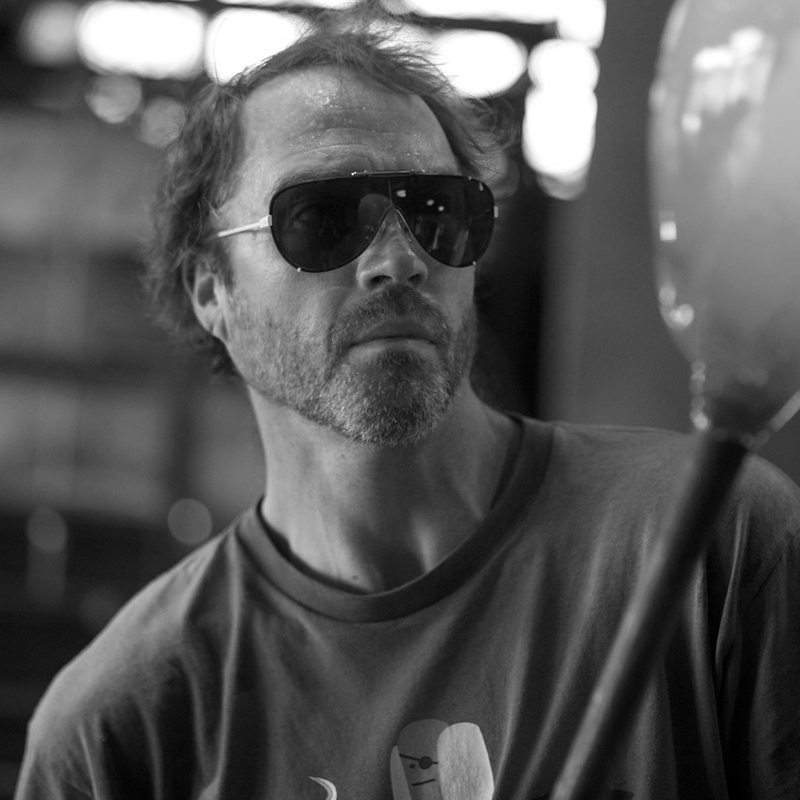 For the last 19 years, he has been blowing glass with many talented glass artists. Denison is currently self-employed and works as an integral part of Lino Tagliapietra's team. Can't visit the Museum? Watch the live stream! Each demonstration will be added to our YouTube channel. See the full listing of past live-streamed demonstrations, and check back for new videos soon.